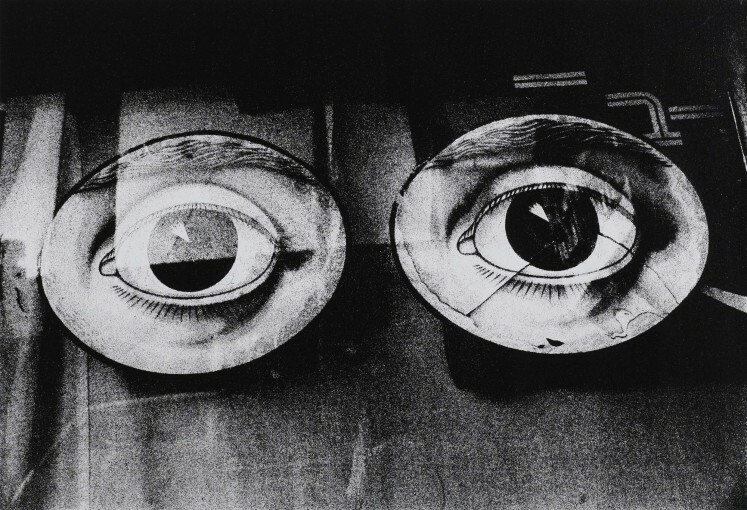 These works were selected by gallery owner Tim Jefferies, from Daido Moriyama's extensive portfolio and produced exclusively for Hamiltons Gallery as silkscreens on canvas in 2013. 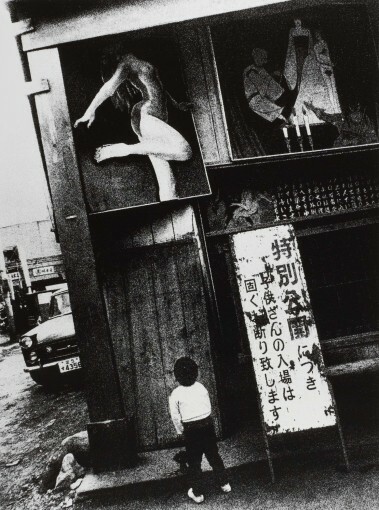 Presenting a comprehensive overview of Moriyama's wide ranging subject matter, these works range from well known images to lesser known titles including Memory of Dog 2, 1982; DOCUMENTARY 93 ('86.6 Setagaya-ku, Tokyo), 1986; The City I Always Had a Hard Time Leaving, 1976 and One More Peek, 1966. 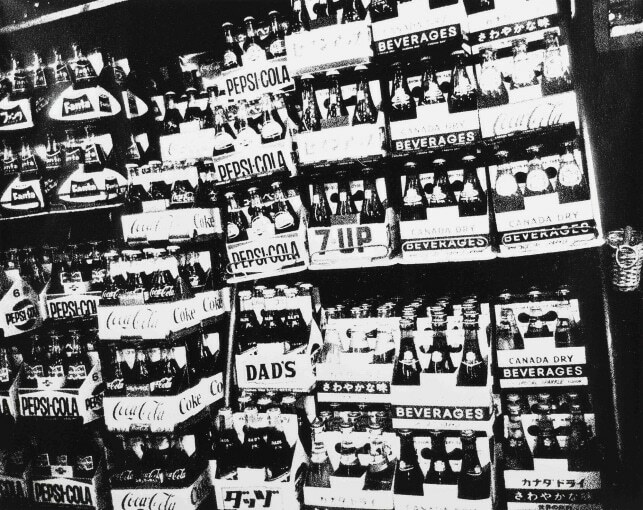 His work, often stripped of sentimentality, depicts a dark, urgent and disturbing edge of street life and political protest - from corpses preserved in formaldehyde to urban decay, junkyards, consumer goods stacked in supermarkets, transvestite performers, city life, stray dogs and images of young women at hostess bars. 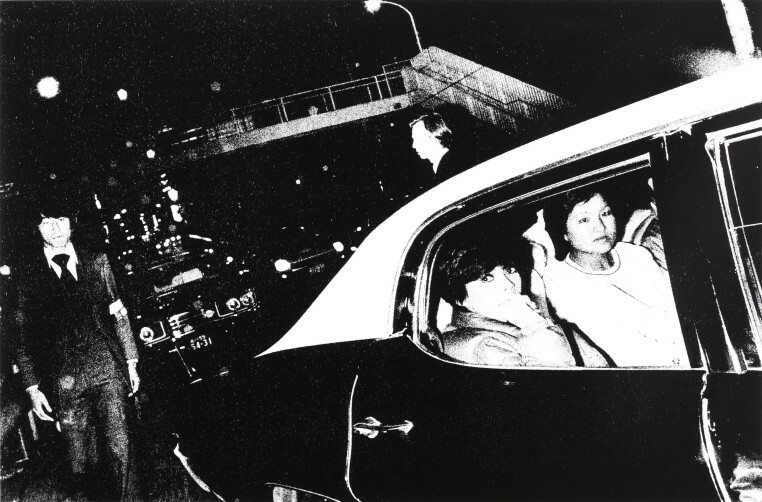 Most widely recognised for his gritty, mysterious style, the Silkscreens pay tribute to the multiple aspects of Moriyama's practice from his initial projects made in Tokyo in the sixties, to his compositional studies in the eighties and nineties. 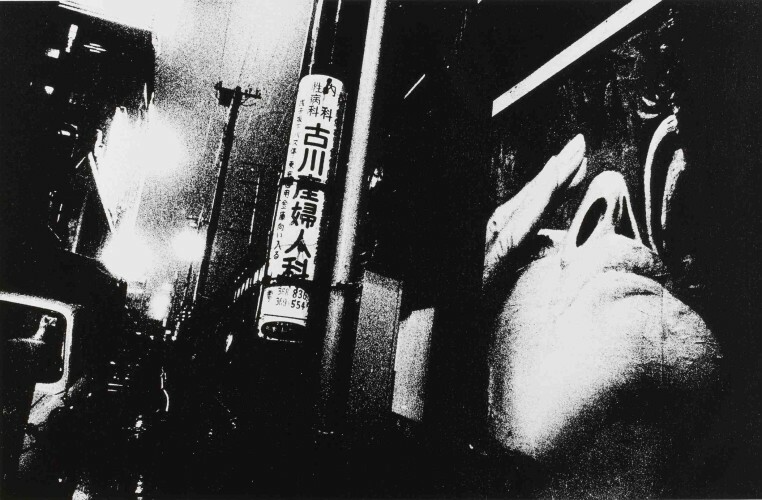 Undeniably difficult to sum up, to characterise in one way with reference to a single body of work, Moriyama has taken tens of thousands of photographs since the mid sixties and his complete works include black and white, colour, Polaroids, screenprints, films, installations and now silkscreens.